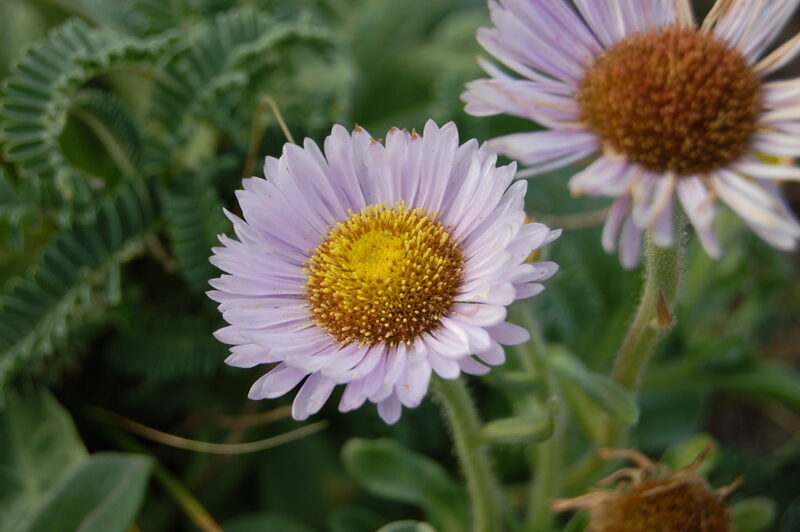 Native to the coastline of California and Oregon where it grows on beaches, coastal bluffs, and dunes. A great plant for coastal gardens. 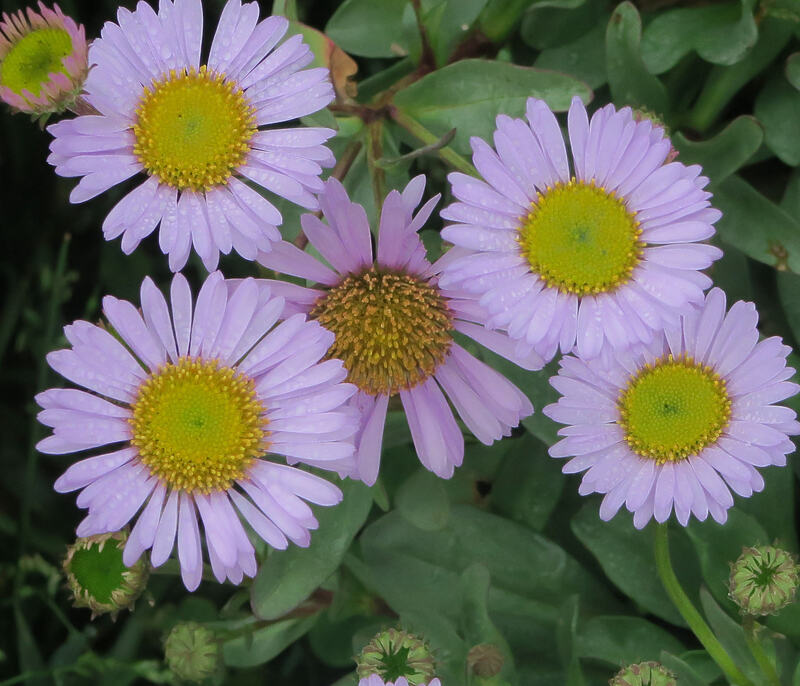 Produces beautiful and abundant flowers most of the year. 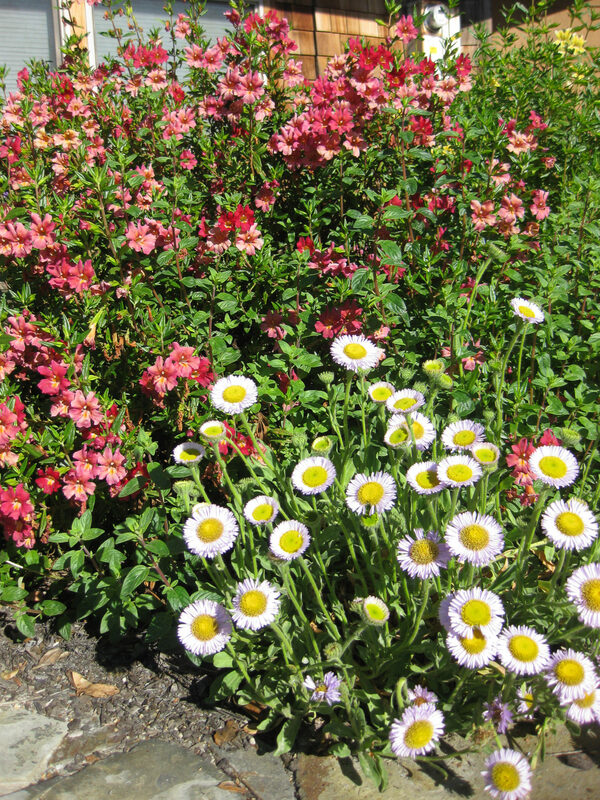 Great for a butterfly garden, flower border, or parkway. Superb for attracting native bees. Grows about 1 ft. high and 2 ft. wide. Loves coastal environments. Great to mix with monkeyflowers, salvias, and Douglas iris. Deer resistant. 'Cape Sebastian' has survived snow and hot summer temperatures. It loves clay and tolerates sand. 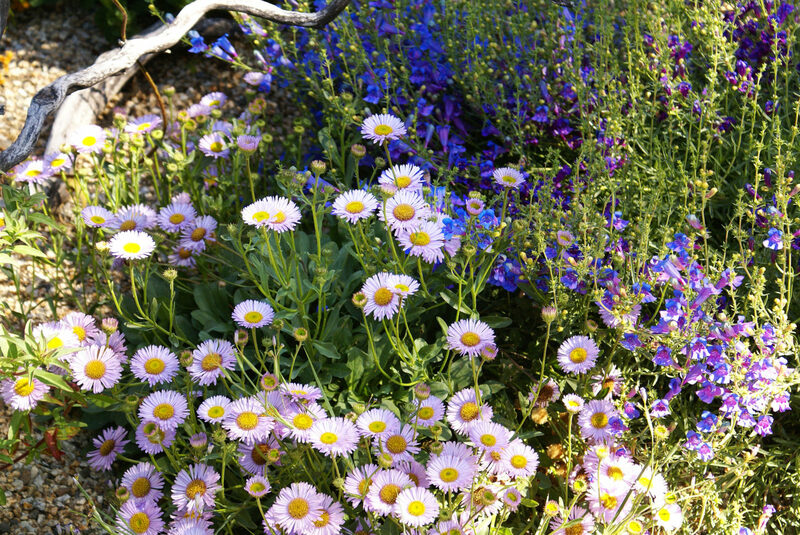 'Bountiful' is a selection made by Bart O'Brien at Rancho Santa Ana Botanic Garden and is a noted improvement over other Erigeron glaucus cultivars, with compact growth and very large lavender flowers. 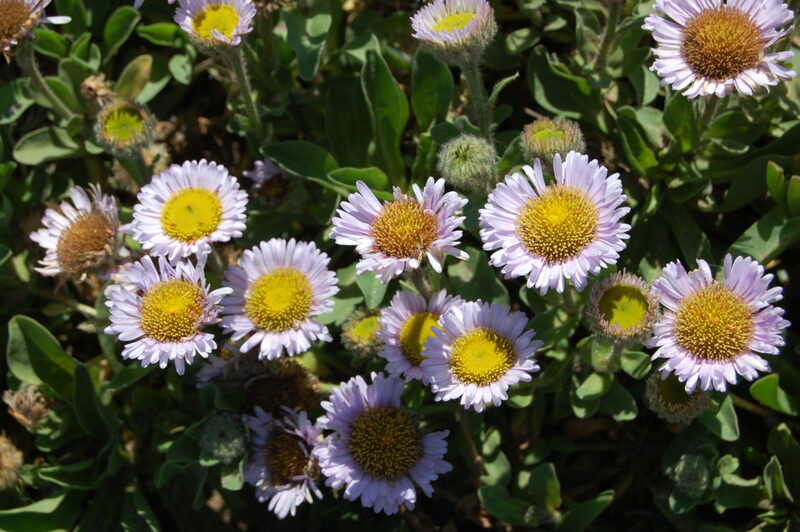 Erigeron x 'Wayne Roderick', also known as Erigeron 'WR' is lower, darker green, with smaller leaves than the parent species, and is believed to be of hybrid origin, with one of the parents being Erigeron glaucus. 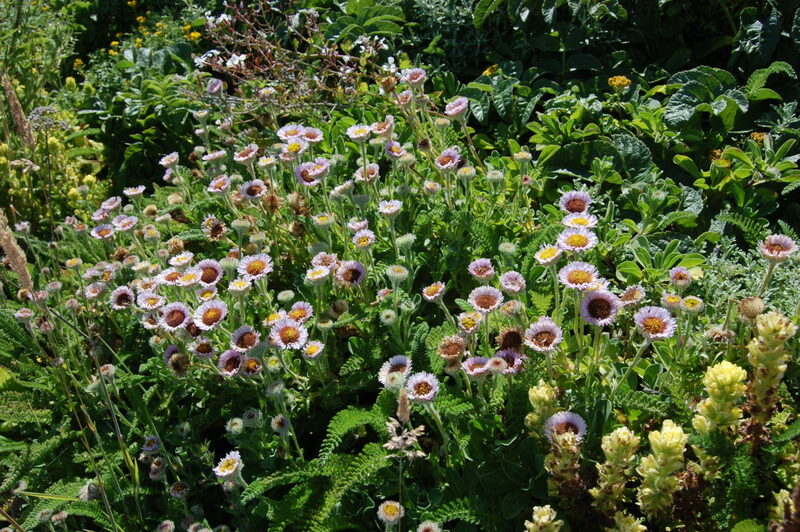 It is more heat tolerant than other Erigeron glaucus selections and the flowers are held higher above the foliage. 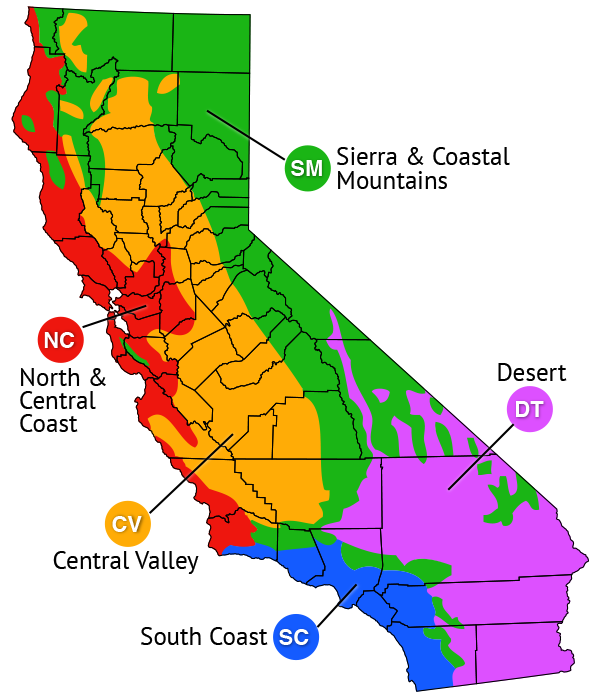 It is hardy to just below 0 degrees F and tolerant of high desert temperatures. Keep trimming off the dead flowers and it will keep flowering. When it gets lanky cut back to 1-2 inches of stem in late fall. Plant 2 ft. apart to make a border or ground cover. Deer resistant. Clay tolerant and perfect for pots and edging. It tolerates heavy clay soil and seaside conditions. We have legendary bay area plantsman Wayne Roderick to thank for this plant that he reportedly found as a spontaneous garden seedling hybrid.